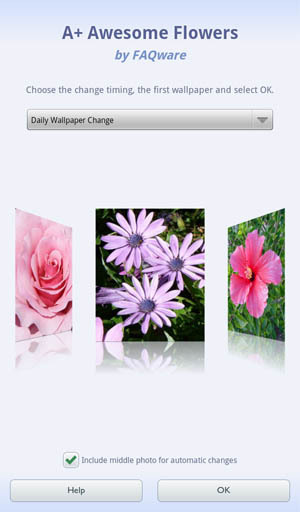 Get your daily awesome flowers with the our Wallpaper app in the Nook Marketplace! Fabulous flowers from around the world! 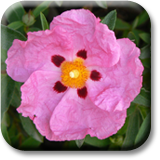 Add vivid background coloring to your device with over 40 beautiful high quality photos. See your favorites from wonderful roses, vivid tulips, stunning poppies, tropical orchids and much more! Perfect mix of individual and bunches of flowers. Photos change automatically each week, day, hour, or have a single photo you can change with a swipe! Have fun personalizing your device home and lock screens with Awesome Flowers and check out our other very popular wallpapers: Beaches and Sunset Wallpapers, Waterfalls and Nature Wallpapers, Animal Antics Wallpapers and Animal Babies Wallpapers, too! All Wallpapers are installed via the device�s Wallpaper Dialog, which appears when you touch a blank area of the home screen for a couple of seconds. 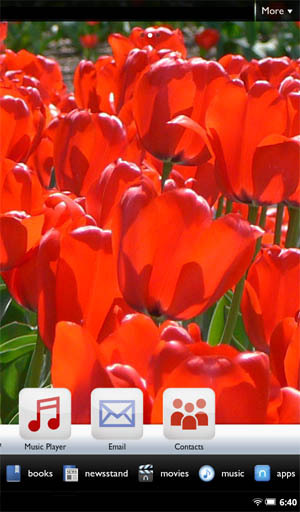 From here, just select the Live Wallpaper tab and tap the A+ Awesome Flowers choice.